The Situation Comedy has been dying a slow death since the decline of the late '90s, and the vaunted four-camera traditional sets (where scene rarely changes between a couple of set pieces and the audience watches as they film). Think about it: We lost Frasier, Friends, and Seinfeld, and this year Everybody Loves Raymond, which had actually developed into quite the winner itself. #5 Everybody Hates Chris - Based on the Childhood of Chris Rock, this is a sweet, funny, and surprisingly family-oriented comedy. Since we all had families the humor is universal, even as it's very specific to Rock's own past. Highly recommended. 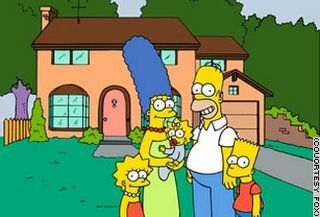 #4 The Simpsons - It's become so hip these days to bash The Simpsons. I admit that two or three years ago the show wasn't firing as consistently as I'd hope, but it was still funny. Whatever; they've come out of that and now give us classic episodes almost every week. Do they resonate as much as the ones from the past? Of course, not, but isn't that a function of the fact that those were fresher (when we didn't have the huge body of work), and we tend to mythologize the past? In fact, I predict that 20 years from now you'll watch 2004-20005 reruns and talk about the huge renaissance. 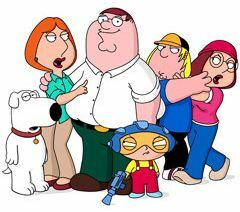 #3 Family Guy - When they burst back onto the scene earlier this year (almost unprecedented), I was a little worried. And, the first episode was uneven. However, since then this show has mostly blown me away, enough so that I rank it above The Simpsons this year, a huge thing for me. That opening bit with Osama bin Laden a few weeks ago is still the funniest thing I've seen in months, and what about Stewie's rant to the frat guy? Fuggedaboutit. #2 My Name is Earl - Another comedy that's just hilarious but with a kicking heart. Earl is a likeable scoundrel who wakes up one day after losing $100,000 to realize that bad karma got him there. He resolves to be a better person and right every wrong he's committed. Jason Lee is marvelous and deserving of an Emmy, but the whole cast is fantastic. Earl is on at arguably TV's most difficult time slot (I personally watch House live and tape Earl), but it's so worth catching. Try out a rerun in this Christmas season and then by all means jump on board when Earl moves to Thursdays next year. 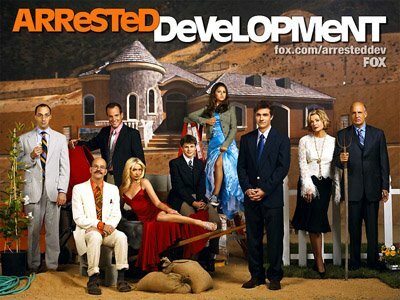 #1 Arrested Development - I'm not bitter at FOX; they did all they reasonably could to support this ratings-challenged show, but I am angry at America. How on earth could so many people not discover this gem? Over the holidays I've been rewatching Season 1 on DVD with my brother and sister, and it just drives home the point to me that Arrested Development is one of the funniest shows EVER made. Jason Bateman is a regular guy trying to hold his certifiably insane family together. If you are intelligent, do yourself a favor and rent Season 1. I virtually guarantee you'll be hooked. Up next: 2005's best Dramas.